Uncategories What we really need; Data Plan or Atta Plan? I don’t believe in God but some natural power is definitely working which is keeping the balance in the nature. I don’t know even as to how many G’s after 2G, 3G, 4G, are yet to come – here G does not mean for God rather it is for a digital mobile communications standard allowing for voice calls and limited data transmission. But in this high-tech era, many of us are more concerned about Data than Atta (Flour). With the introductions of new plans, new features like ‘hotspot’ for sharing the internet data on some other mobile, I have felt that whenever there is a guest at your home, he would prefer to check the Wi-Fi signal and ask for the password instead of discussing the purpose of his visit. Even sometimes, one has to switch off the Wi-Fi signal to concentrate on the real issue. When I see the Smartphone in the hands of youths who are from poor families, I feel that the same is the case with million other inhabitants of this nation, but we are least bothered as to how and when this internet will be replaced our basic needs. I daily look for an answer to it? All we had – endless and emotional speeches about “Poverty and Demolishing Poverty,” but when I see a long queue of getting free data, the poverty will be knocked down by demolishing the poor. Isn’t it? Their preference for Data than Atta would render them helpless for any meal or good medical facilities and they are obviously going to die. I don’t think that a poor or a middle-class person can survive in a country where people can give up all their concerns about rising prices of basic commodities if they can have cheaper data plan? All I want is availability of affordable food, inexpensive medical treatments, a good infrastructure, and a nation free from corruption. I believe, we all want this, don’t we? Our problems about water, electricity, education, medical facilities are the same as it used to be decades ago. Nearly 70% of our population is living in the areas prone to third-world diseases like diarrhea, pneumonia, and malaria. At the same time, we are still fighting with the pre-independence concepts like untouchables, reservations, religious fanaticism, and so on. Recently when one company launched with jaw-dropping internet plans, I saw people lined up in the queue for that one piece of subscriber identity module (SIM) chip. Just to have a formal confirmation on my idea, I approached the guy, who was standing last in the line. What is this line for?” I asked him. Uncle, I think you don’t read the newspapers. It was on the front page. You can have 1GB 4G data for a comparatively lower price than other providers. It is cheapest data plan. You are going to save a lot of money. And, yes! You must have a 4G compatible mobile phone for this,” he said it all this in one breathe. Frankly speaking, I am not at all against any new technological advancement rather I look for – What Next? As it is must for all developing nations. Anyhow, I too remained in the long queue when more people joined behind me, and the company’s representative – who was the son of one of my friend, approached me, Uncle, you please come with me and I will get you the SIM. Since six months back I am enjoying free data which has saved some amount for me to spend on other items. Still I feel that there are lots more important things to do than standing in this queue of internet freaks for which the only thing matters is Data and nothing else. 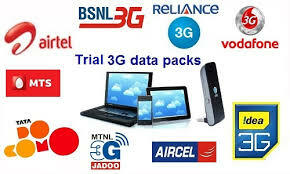 Sometime, I talk to myself that I would have stepped out of that line to give free Data plan for one poorer person who too wants to enjoy the Smartphone features so that he could enjoy the Atta plan for six months for the family with the saving from Data Plan of some other provider charging for the same.